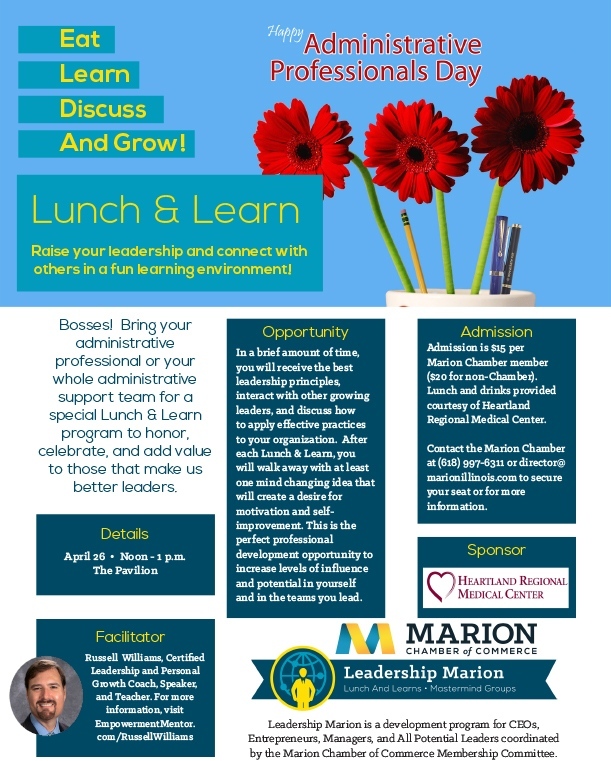 The Marion Chamber of Commerce Monthly Membership Luncheon will be held on Tuesday, May 9 at noon at Kokopelli. 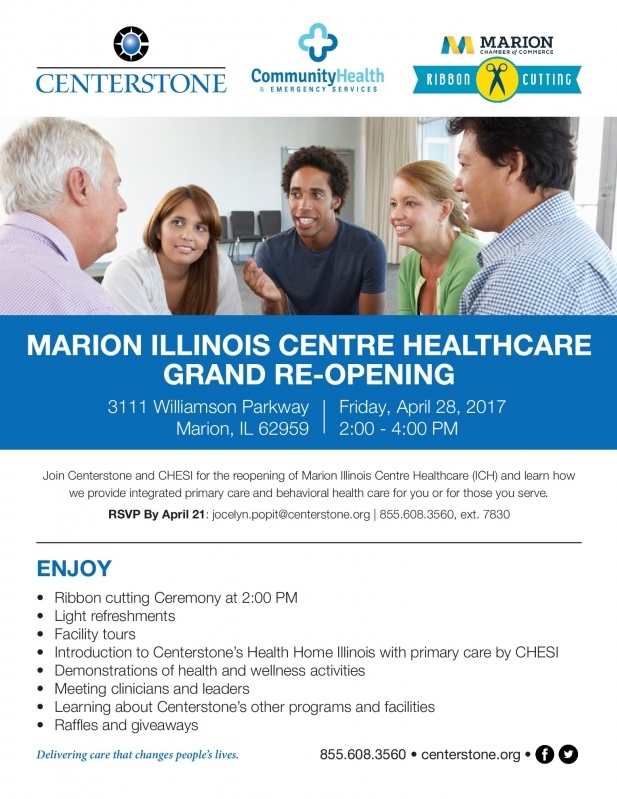 The presenter will be Dr. Ron House, president of John. A Logan College. Also, the winner of the raffle for the Suite at the Miners will be drawn at the end of the program. 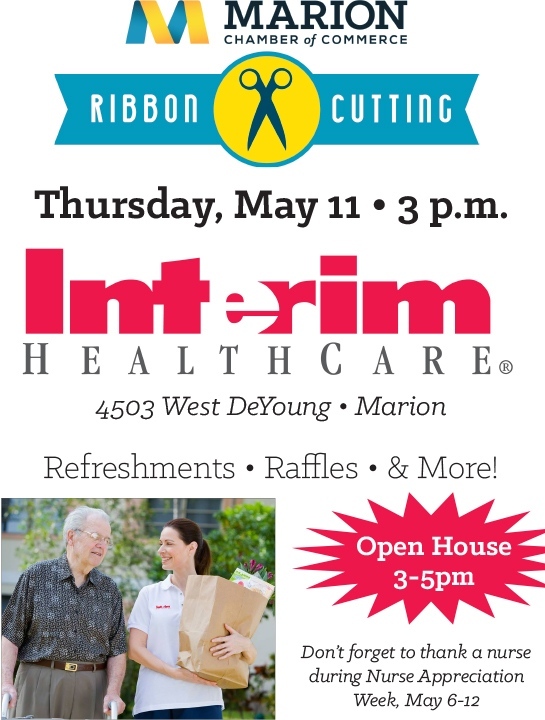 Join the Marion Chamber Dish Mob on May 11 from 11:30 a.m. - 1 p.m.
Every quarter, the Marion Chamber invites you to visit a Marion area restaurant armed with cash, a smile, and a love of Marion. We call and block several tables (usually for 20 people) during the breakfast, lunch or dinner hours but we won't let you know where the location is until the day before the Dish Mob. 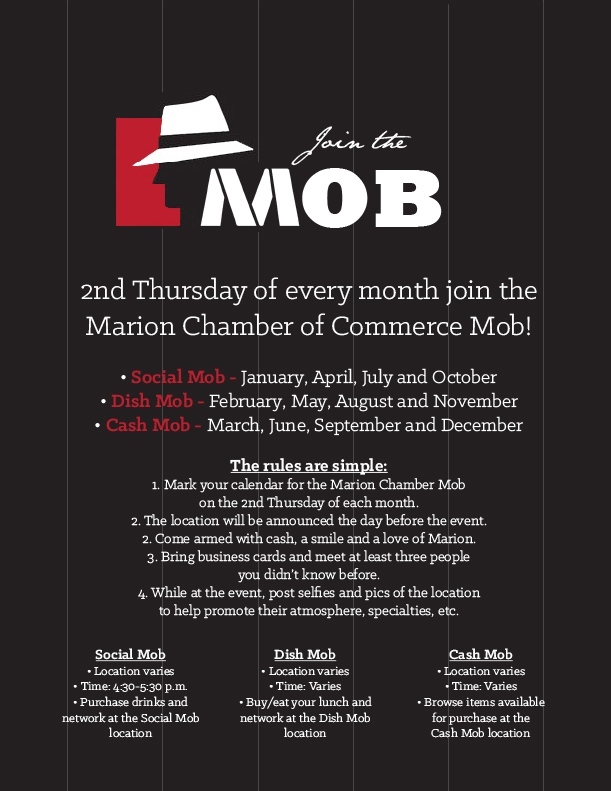 The Marion Chamber Dish Mob is held the 2nd Thursday in February, May, August and November. 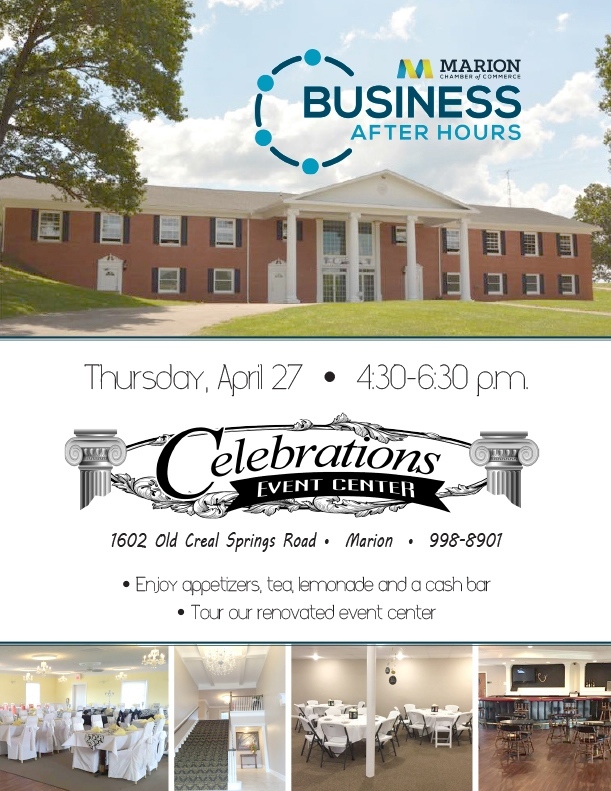 I agree to honor all Marion Chamber Gift Certificates presented for redemption at my business. I understand that the entire amount of each Gift Certificate can be used to purchase goods or services in one establishment only, and that no cash or credit refunds need be given, and no restrictions apply. 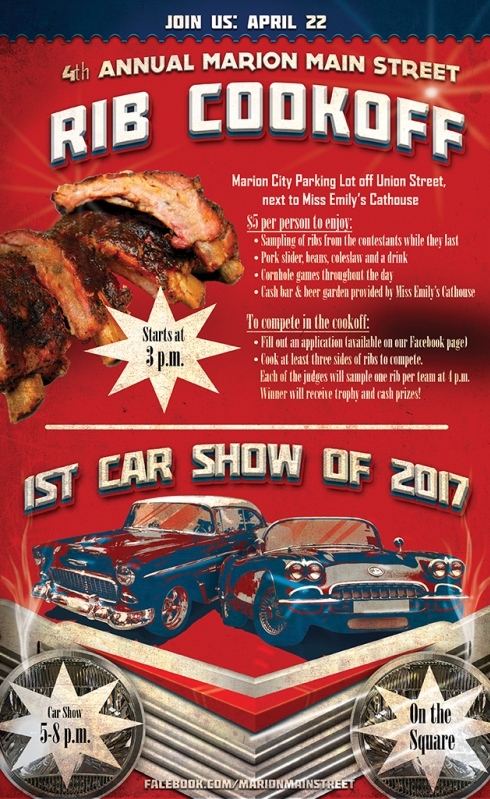 As a participating business in the Gift Certificate Program, I understand my business will be listed alphabetically on all Marion Chamber Gift Certificates. 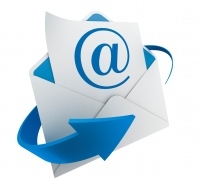 I agree to return to the Chamber office, either by mail or in person, all Gift Certificates redeemed at my business, and, within two (2) weeks or receiving redeemed certificates, the Chamber will issue to me a reimbursement check for ninety-five percent (95%) of the face value of each redeemed Gift Certificate. Should I wish to discontinue my participation in the program, I agree to notify the Chamber office in writing of my cancelation. I understand that my business will be required to honor any and all outstanding gift certificates that have been issued prior to the date my notification is received. All gift certificates include an expiration date of twelve (12) months from the date of issue.